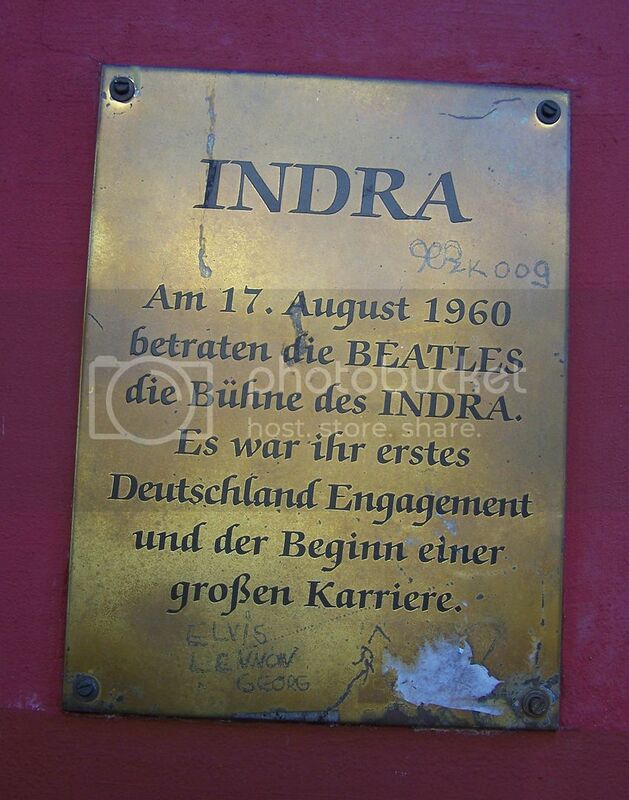 The Beatles started playing at the Indra Club on Aug.17,1960, for 48 appearances ending in early Oct.,1960. They then moved up the street to the Kaiserkeller Club. 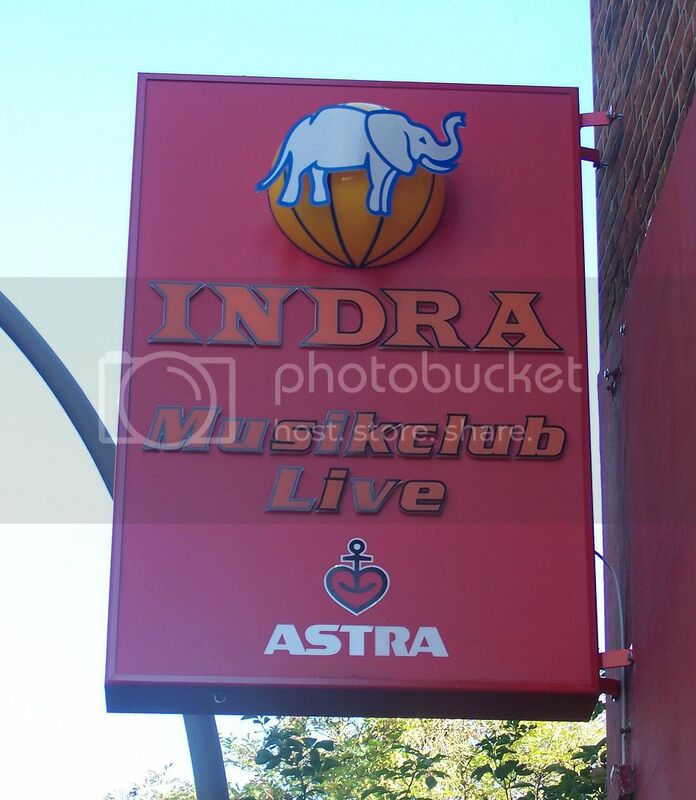 Here is a short video of the Indra Club and The Kaiserkeller by Spencer Leigh. Rocky that stage demolition also caused both bands to get thumped off the bouncers as well. In Tom's book John and Rory have this thing going to see who can demolish the stage first. When it went there is a lovely image of RSATH musicians and all the equipment falling into the hole on stage. Going through the stage was at the Kaiserkeller. Correct, I don't think RSATH ever played at the Indra. Sorry got a bit confused. That's ok pothos, a lot of stuff happened there. It was like these guys needed a chaperone. Alan Williams must have been around for awhile because he's the one that took them down to the Akustik Studio to record that demo. But then he must have left and all hell broke loose. lol That's when Rory got fired and he went to work with Tony Sheridan down at the Top Ten. The rest of the guys stayed and worked out their contract at the Kaiserkeller. Paul & Pete got arrested for their burning the condom above the Indra when they went to retrieve their things. George got deported for being underage. John hid out and finally went back to Liverpool by himself and Stu went to live with Astrid for awhile. I don't think RSATH ever went back to Hamburg until they played the Star Club a few years later. btw very nice pics brew. I'm amazed no one has stolen that plaque. Brew when you went to see the band play in Germany did you ever get the impression that it was organised chaos or was did the bands seem all rather glamorous. Nice map and pics of the Grosse Freiheit. 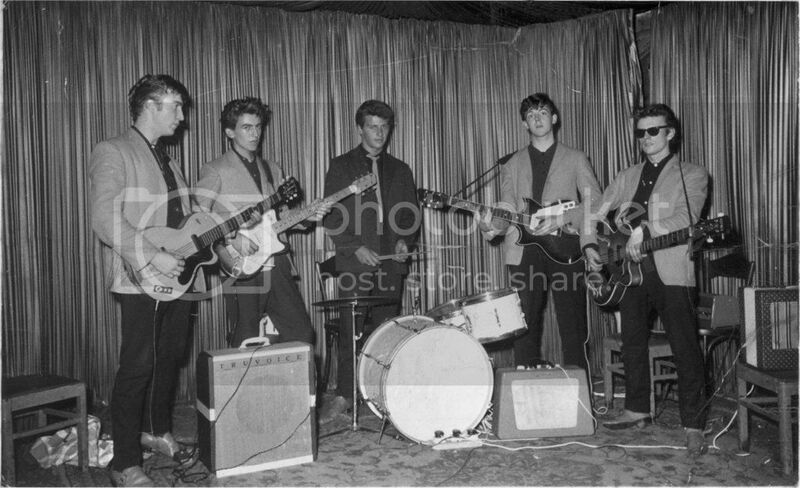 When I was there in 1963 it was only the Star Club we visited for the music. It was a very professional set up. Adrian Barber [formerly of the Big Three] was stage maager, and it was a very well run operation. I don't think the Top Ten was hosting bands at the time. I never visited the Kaiserkeller either, as we were more or less based at the Star Club. A few of us went to the fun fair at Heiligengeistfeld [where Astrid took the famous photos of the Beatles.] Apart from eating Currywurst, and doing some daytime sightseeing in the city centre, most of the time was inside the Star Club. This was also neat to look around. 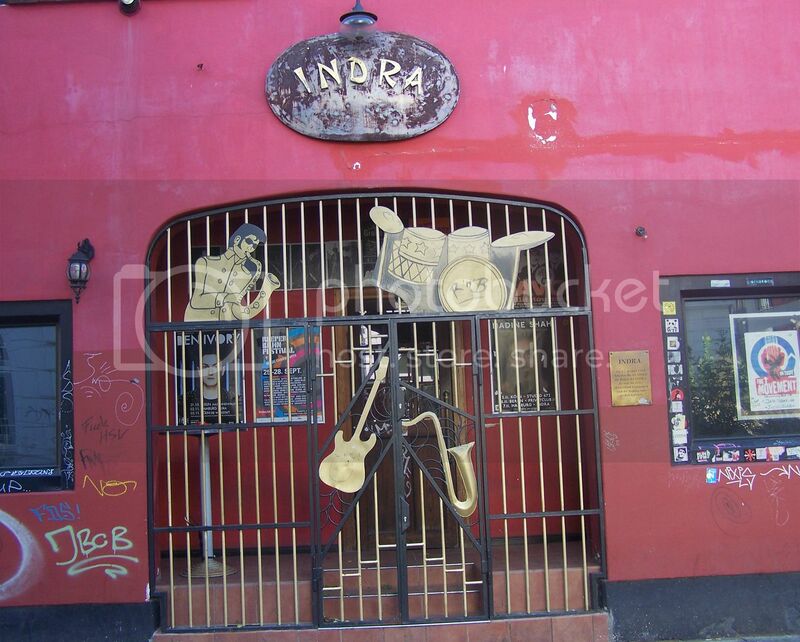 5) finally the Indra Club at 4:30 and the BambiKino at the end of the street. I don't understand that one. Maybe that's why they lost the war. Nice video brew, thanks again for posting that one. Well I did find there is a tape that exists that was recorded at the Indra Club! Although the Hamburg period is fairly well documented, mistakes are still made. The backdrop, and exact clothing match in both photos. 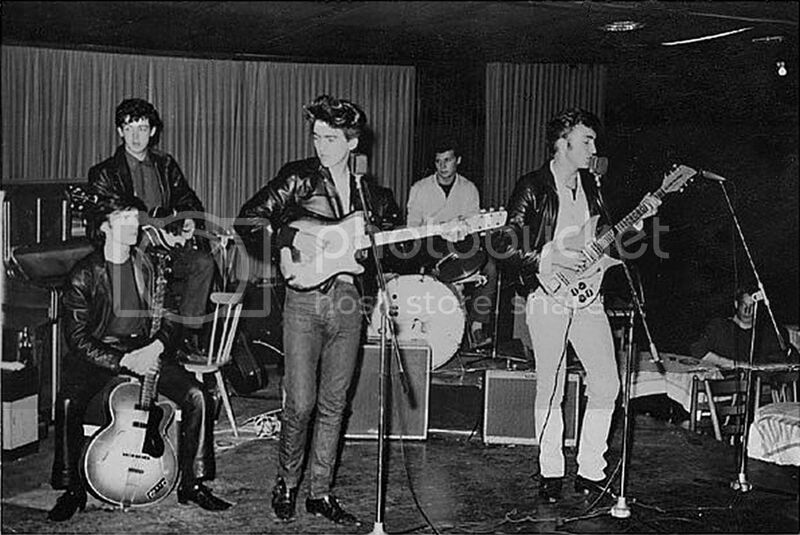 Paul having the Hofner bass dates the photo after April 1961, while they were resident at the Top Ten. Interesting to see both bass players onstage at the same time. So even experts, even the guys who were actually there, can get it wrong. Is that suppose to be 'PETE' on his drumhead, and the P & E and part of the T is gone? Now this picture was taken at the Indra. 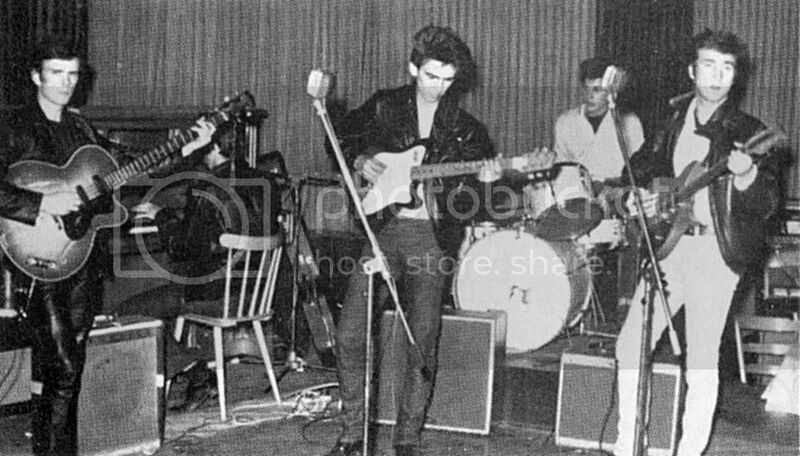 You can see John has his old Club40, George with the Futurama, and Paul is using his right handed Rosetti Solid 7 that he bought at Hessy's right before they left for Hamburg. Maybe it was the curtain backdrop that confused them in the other two pics you put up? The pictures were taken about six months apart though.